Add a sophisticated taste to this Thanksgiving classic. A light sweet warm-weather cocktail perfect for outdoor parties. Enjoy this perky herbaceous topping for Biltmore Vanilla Bean Cheesecake, ice cream, or pound cake. Shop for Biltmore cheesecakes at your local grocery. Enjoy this hearty recipe, provided courtesy of The Dining Room at The Inn on Biltmore Estate, with our red-blend wine, The Hunt Sonoma County. This tasty nutty treat is great for breakfasts, snacks, picnics, and parties. When the weather outside is frightful, the right soup can make for a perfect meal. Keep warm around your table this winter with this rich and creamy Butternut Squash Bisque. 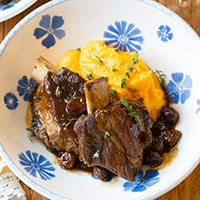 Pair this dish with our Riesling for a crisp, semi-sweet complement to your meal. This classy sparkler will add fun romance to your holiday party. 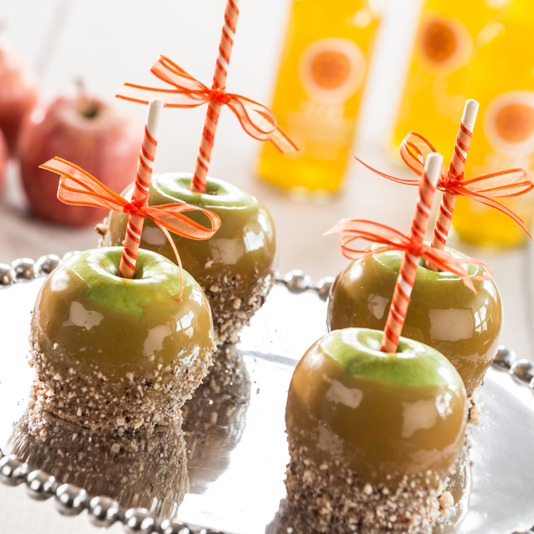 Give a new twist to a traditional treat by adding the delicious taste and texture of toasted hazelnuts and rich sea salt to caramel apples. The Dining Room's chef has concocted a delectable dish. 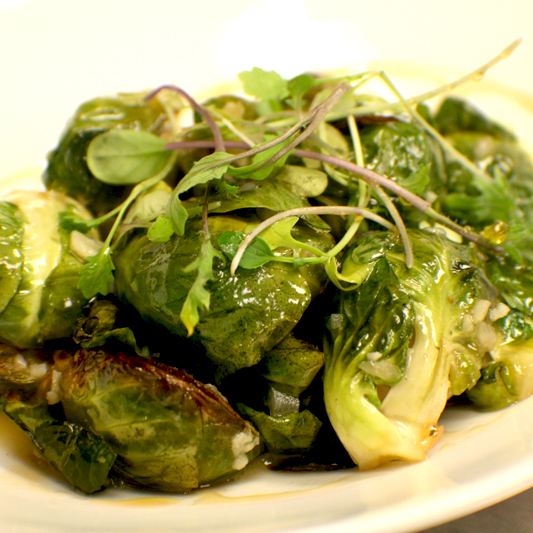 These Brussels Sprouts are sure to be the perfect side for your holiday meal. Carolina pulled pork is a venerable tradition in western North Carolina. Once the sole purview of artisan pit masters, this recipe brings the authentic taste of Carolina-style barbeque to your own back yard.